View your water depth from the comfort of your desktop or mobile device. Get notified in real time about your water levels. Completely wireless with an easy 5 minute setup. 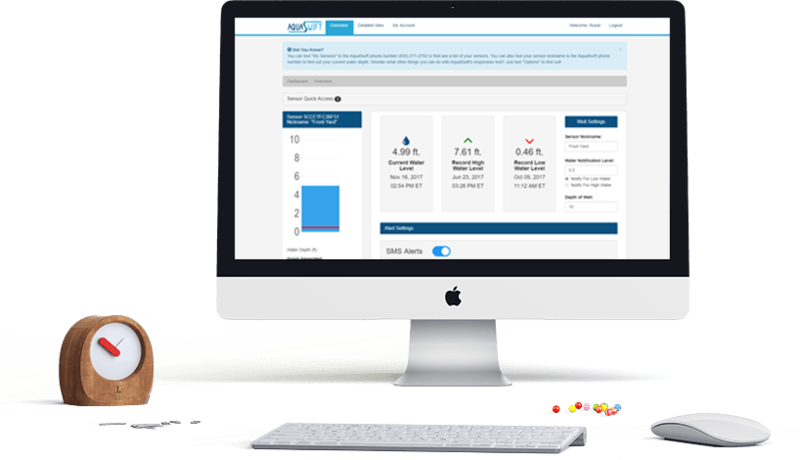 Simply log into your AquaSwift dashboard to gain access to historic water depth, water temperature, air temperature, record highs and lows, and more! Runs completely on solar power. No external electrical connection required! When your water gets below your chosen "alert level", you can order water straight from your phone and choose from the best water distributors local to you. The AquaSwift Depth Monitor is capable of both WIFI and cellular data transmission so you can connect from anywhere, no seperate power needed. 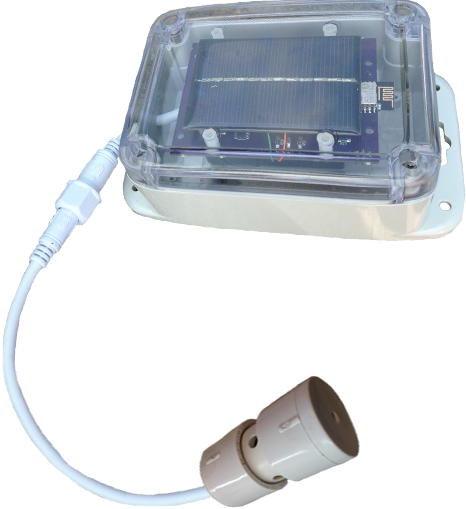 The control module is placed above ground with access to sunlight and the sensor is lowered into the water until it reaches the bottom. The AquaSwift Dashboard lets you view your water depth readings in real-time, and even lets you set alert levels to notify you of when your water depth is too low or too high. Choose a plan below to order your desired number of AquaSwift Depth Monitors. Connect the AquaSwift Depth Monitor to the network using your phone or web-compatible device. Your AquaSwift Depth Monitor tracks your water depth and alerts you when your alert level(s) are reached. A water analytics company focused on providing rural homeowners and water organizations an effective way to track and monitor their water.